You must add a minimum of 12 4.5 Inch Faux Star Fruit Green's to your cart. 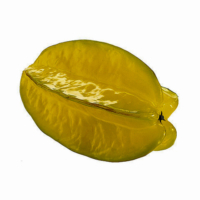 Amazing Produce offers incredibly realistic faux star fruit. Authentic in size and color, you will not be able to tell the difference. This product can be used for any artificial fruit display or project. You can even put them in a vase filled with water as they are also waterproof. 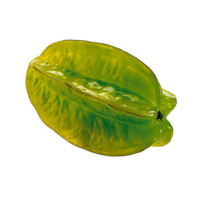 Star fruit is not only delicious to eat but they also look great. Amazing Produce is the one-stop choice for all of your artificial fruit and plastic star fruit. The quality material offers durability that will last a lifetime. You can use our artificial star fruit for both indoor and outdoor decorations.